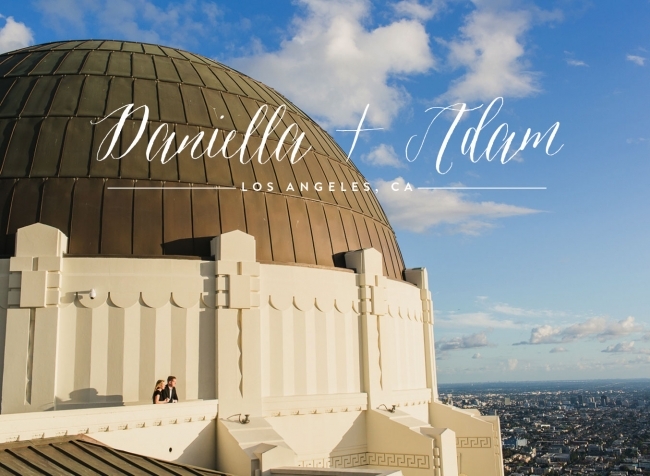 I was so excited to do something a little different for Daniella and Adam’s engagement session. We went to Griffith Park but we shot in a brand new area (in addition to the iconic Griffith Observatory of course). Although the locations in which we shot were close to each other as far as distance goes, the Griffith Observatory was ridiculously busy so it took a little bit of luck and Adam’s epic parking skills for us to find a spot. The weather looked like it was about to rain earlier in the day but as soon as it was time for their engagement session to start, the clouds parted and it was perfectly sunny! 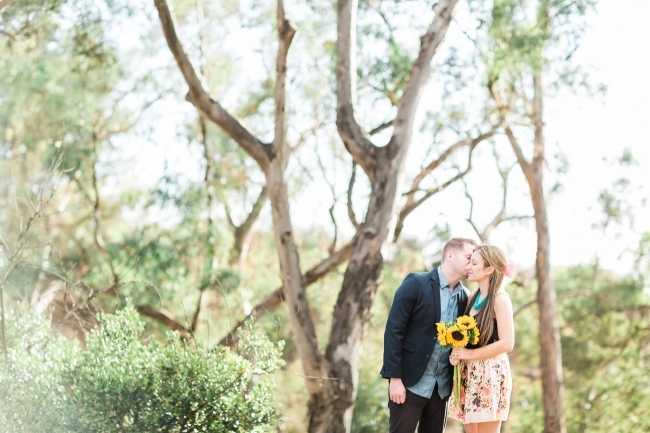 Daniella and Adam have awesome style, so that coupled with the cutest props (like a bunch of white balloons and sunflowers) meant that their engagement session couldn’t be anything less than amazing! Daniella and Adam met in San Diego and as we were talking about the area in which they used to live, we discovered that we both love The Cottage in La Jolla. I refer to The Cottage as the best brunch place in the world. We reminisced about the delicious coffee and cake they serve while you wait in line, the amazing staff and yummy food. So if you are ever in the La Jolla area, Daniella, Adam and I all agree that you must try it! These two are so sweet, I can’t get over how excited I am to shoot their wedding next October! I hope you enjoy just a few of my favorites from their session! Wow! Daniella’s eyes are amazing!! I’m obsessed with this next one!